It looks as if the Palm Springs Police Association is doing its best to keep its sense of humor after the Valentine’s Day storm of all storms moved through the Coachella Valley this past week. 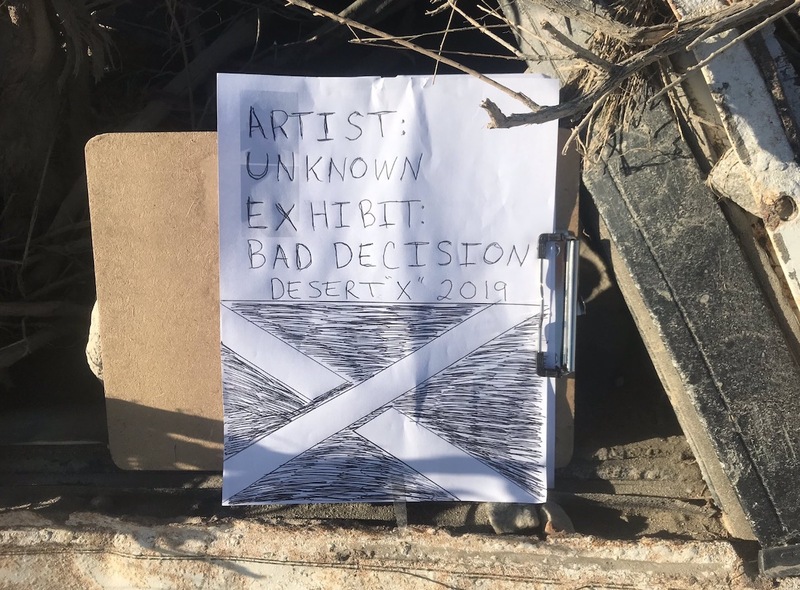 The PSPOA posted photos of a the “newest exhibit” of Desert X 2019 on Sunday that they titled “Bad Decision” – which, and just a guess here, probably is a not-so-subtle hint to turn around, don’t drown when you see a flooded road. 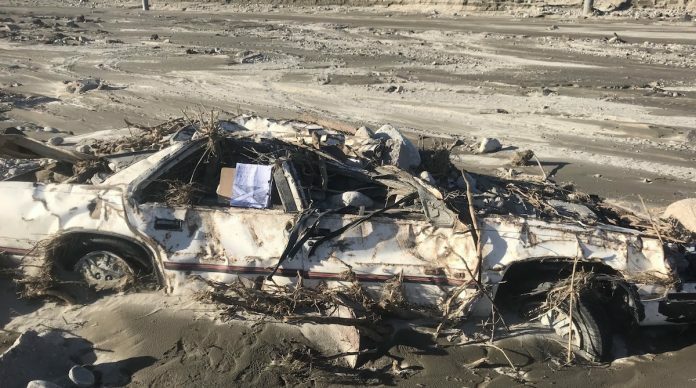 The hand drawn sign was placed on a vehicle that, and this is just another guess, won’t be spending anymore time on the roads. Related: How much rain did the Valentine’s Day storm drop around the Coachella Valley? Check out the totals here.